When I was growing up, there was no Internet or HD televisions. If you wanted to truly experience the world you either had to travel there or follow the amazing expeditions in National Geographic. Every month brought stunning photographs, detailed maps and in-depth articles about exotic lands, foreign cultures, animals, nature, science, technology, history, travel, geography and overall sheer adventure through global exploration. 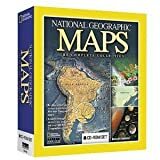 Well, now the entire 120 year archive of every single issue, page, article, advertisement, map and photograph from 1888 to 2008 has been digitally reproduced in high resolution and put on a single 160 GB hard drive with the cool new Complete National Geographic. Just plug it into your computer using USB and use the advanced interface to explore a topic, search for photographs, browse the globe, or wander on your own expedition. Great gift for any true explorer. Hmm, I think I just may re-subscribe too!